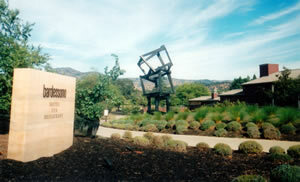 Yountville is surely the most attractive little town in the Napa Valley. If, in these affluent parts, there are any of those ‘Prettiest Village’ competitions we British like so much, it must sweep the board year after year. But even beauty can have its penalties. Sometimes, it must be said, the main thoroughfare of Yountville, Washington Street, can become rather crowded. 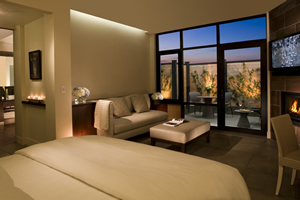 Then one needs a quiet, luxurious retreat – but one which is still only a few steps from what I shall call, with a hint of the sort of vulgarity which is never normally allowed to intrude into Yountville’s manicured environs, ‘the action’. That is why I am so pleased to be able to recommend to you the Bardessono Hotel & Spa. 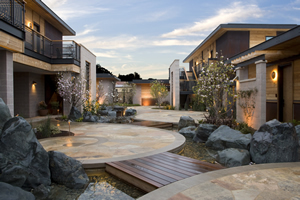 Opened in 2009, Bardessono was the first LEED certified hotel in California. (No, I did not know what it meant, either. But it is an award for a building which is very, very environmentally friendly – so even the ‘greenest’ traveller need have no qualms about staying here.) 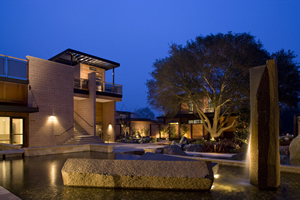 It has 62 spacious rooms in low, two-storey buildings, set amidst grounds which have the appearance and atmosphere of a Japanese Zen garden. 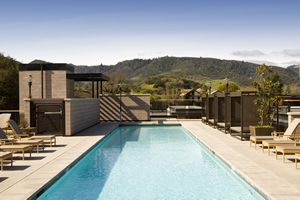 Its outdoor swimming pool (pictured) on the first floor (what our American friends call the second floor) is of Olympic size and is surrounded by captivating views of the town and of Napa Valley beyond. 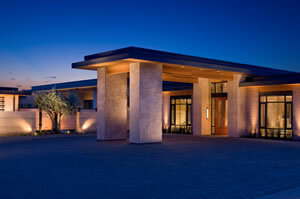 This facility alone makes Bardessono the hotel destination of choice in Yountville. But there is, of course, much more. 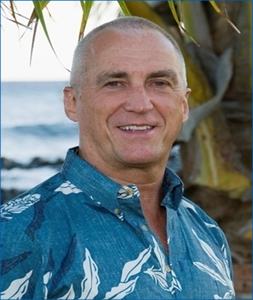 General Manager Jim Treadway (pictured) has built up a fine team. I found the service first class. Allow me to share with you one example. I am not a fan of wash basins without plugs. But modern designers are, and Bardessono is very much a place created by designers, as you will be able to discern from my pictures. The problem is that I need a pool of water for my wet shaves. I expressed my concern to one of the ladies of the concierge team, Camille. This efficient lady, within minutes, had installed a plug – of makeshift but effective design – so that my morning and evening ablutions could be accomplished without difficulty. This was in Room 404 – on the ground floor of the ‘Birch’ section. (I cannot give you an accurate price range for the accommodation at Bardessono. As is usual nowadays, you will need to check for specific dates on the hotel website.) From the small hallway the bedroom was to the left and the bathroom to the right. The former – decked out in white, grey and black – had plenty of space for the deliciously comfortable bed, the substantial sofa and the small writing desk. An artificial fire added some cosiness, the effective air conditioning kept me cool and the Elgar on the cd player (installed at my request) ensured an atmosphere at once moving and uplifting. Opposite the bed was a wall of glass, and a door onto my own small garden with its chairs and sun-loungers. 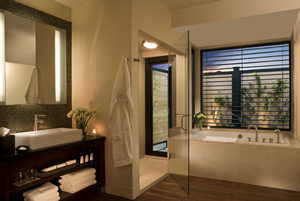 The bathroom had abundant hanging space, a safe, two wash basins and a rectangular bath with an agitation facility. It also possessed something which I have never encountered before. In the walk-in shower was a door to the outside; and through the door was my own outdoor shower. I am a fan of the bath rather than the shower, but I suppose that having a shower outside might allow one to experience some sort of communion with Nature – as might a ride around the neighbouring countryside on one of the carbon-fibre bicycles which are provided for guests. Neither, of course, is quite my tasse de thé. Very much my cup of tea, however, is a jolly good breakfast. And that is precisely what I got at Bardessono. I did not have the opportunity to sample Chef Victor Scargle’s food at dinner at the Lucy Restaurant, but, judging by the standards of the fare from his kitchen at breakfast, I really ought to do so in the future. He likes to use produce from the hotel’s own gardens, an inclination which certainly commends him to me. There is no breakfast buffet, so all the excellent comestibles were brought to me as I sat in a wicker chair at a glass-topped table, overlooking a pond and a fountain, in the open air – the chill of which was offset by a strategically placed overhead heater. Here I tucked into porridge, brown bread and butter and slices of raw onion (the breakfast taught to me by my grandfather), supplemented by bacon, poached eggs, grilled tomatoes, croissants, strawberry jam and pots of coffee. Thus fortified I was ready to step out into the centre of Yountville. 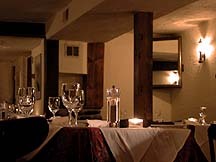 Bardessono is an elegant, luxurious, environmentally-friendly retreat from the cares and stresses of the world. 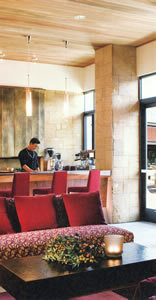 It is a wonderful addition to Yountville, the most attractive little town in the Napa Valley. 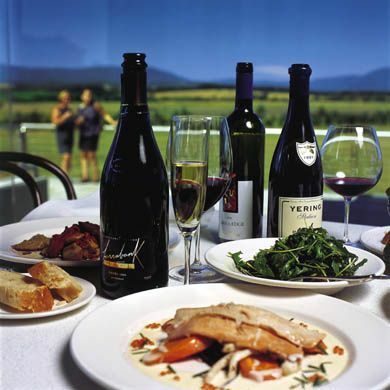 6526 Yount Street, Yountville, California 94599, U.S.A.